Senior PSNI officers who authorised the secret bugging of a key witness in a murder appeal case will now be questioned in court over their role in the operation. 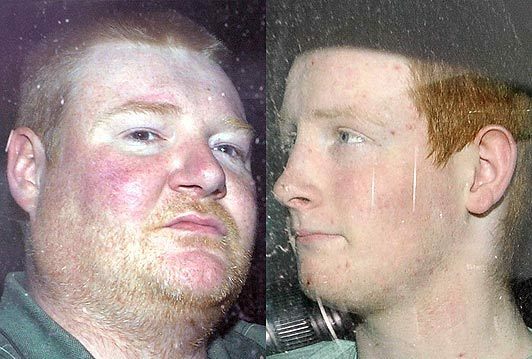 John Paul Wooton (22) and Brendan McConville (41) are appealing their convictions for the murder of PSNI officer Stephen Carroll in Craigavon in March 2009. The appeal had been due to get underway last month but was halted after the men’s legal team alleged that police had arrested and tried to coerce a crucial witness to change his statement. Police had secretly recorded the witness, who can’t be identified, when they came to speak to him at his home. He was later arrested and interviewed by police about the content of an affidavit he had made to solicitors for Brendan McConville. Today (Tuesday) the Court of Appeal heard that the PSNI officers who authorised, planned and carried out the secret bugging and subsequent arrest of the witness will now be called to give evidence in court. Prosecution counsel, Ciaran Murphy QC, confirmed that he wants the secret recording played in open court to identify voices and the nature and tone of the conversation. Mr Murphy said that this should be done regardless of whether or not it was to the advantage or disadvantage of one party or the other. Defence counsel, Barry Macdonald SC, said that he intends to call the witness to court to give an account of the PSNI’s actions against him. However Mr Macdonald said that he has been prevented from speaking to the witness since his arrest and that he is now reluctant to speak to anyone. McConville’s defence team had asked that, because of the alleged attempt to interfere with the witness, the court should take appropriate steps to ensure that the ongoing PSNI investigation is overseen by either the Criminal Cases Review Commission (CCRC) or the Police Ombudsman’s office. The court was told that a request had already been made to the ombudsman’s office to oversee the police investigation, but as yet, no decision has been taken. The Court of Appeal judges questioned whether oversight of police investigations is a matter in which it can intervene, stating the court is not an investigator. “In the absence of any measures to provide independent oversight of this investigation then the court itself will have exposed itself to a possible liability for breach of Article 6 (right to a fair trial) because the court is the public authority for supervising the appeal process which we say has been subverted by the police." “This is unprecedented in my experience. A review hearing of the case will now take place next month.